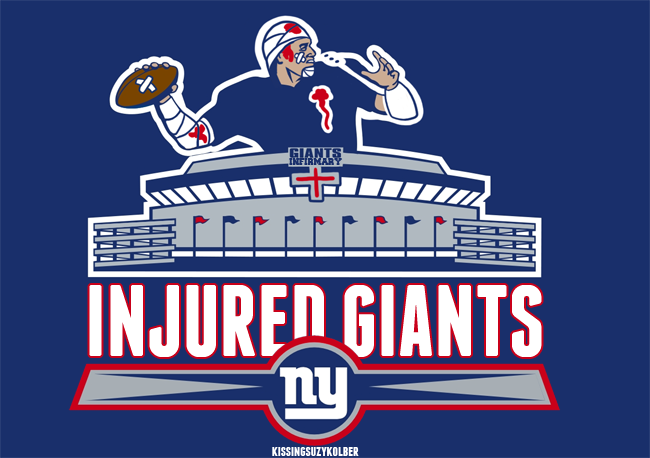 The Giants have had the worst injury luck over the past two seasons by a significant margin. I’m not one to blame injuries for their play, as injuries happen to everyone, but it’s kind of astonishing how bad it’s been for the Gmen and it makes me wonder what those seasons would have looked like if we were just average. One year I’d chalk up to luck but 2? Yeah, Cruz was a freak injury. But they can’t all be just freak accidents. Not to mention we already lost our starting LT to a torn pectoral injury on a routine weight lift. Something is wrong. Nobody can figure it out. Some blame Jerry Reese for bringing in players with injury histories but I don’t know if that’s entirely fair. 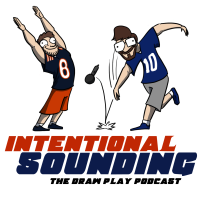 A lot of players drift from team to team with injury history, not just to the Giants,and being injured before doesn’t automatically mean injured again. Beckham never missed a game at LSU yet spent all of camp/preseason/4 games hurt with a bum hamstring. Most fans seem to blame the Strength and Conditioning coaches. I give leery looks their way as well, simply because I can’t figure out where else to look. Are they driving players too hard? Too soft? too outdated in style? Why are the Giants always so hurt? Going to go out on a limb here: Maybe it’s the air? I have pretty nasty exercise-induced asthma – part of why I was never cleared to play football in high school, to my chagrin – and while I can breathe and run and jump and keep it under control just fine while playing to my heart’s content thanks to medicine and conditioning, in the city I used to work, which had an F from the EPA and was a very polluted place, if I tried to run around or do anything athletic with my coworkers, my vision was going blurry and I was gasping for air within twenty seconds. The air in Jersey isn’t exactly clean and healthy, and while my conditioning is nowhere near as amazing as an NFL athlete’s, and most NFL players don’t have asthma, but for a player who has spent most of his life or the past few years of his career in, say, Washington state, or Arizona, or Colorado, or parts of Mississippi, or other places with very clean air, the adjustment from clean air to Jersey air can probably cause some problems, and when you can’t breathe right and get fatigued too quickly, everything seizes up, weakens, your body becomes much more frail. And again, my case is much more extreme in terms of the fatigue level, but A. the air I was breathing was much worse, B. the contrast from home to work was much smaller than some of these players, and C. I was not put at the kind of risk for injury that comes from being tackled by someone twice my weight and seven inches taller. The Jets practice in Florham Park though, which is significantly different than East Rutherford, which is in the middle of that large industrial complex that gives Jersey the “smell” reputation. Did Jacksonville lead the league in injuries when Coughlin was coach? Why the hell was the punter trying to kill an elephant? Also, does Eli have to chase his food too? I think it’s pretty obvious Eli’s mom prepares him a lunchbox with his food, juice and oreos to take to practice. I don’t know that two years is enough sample size to discount it as random variation. That can’t be Coughlin — his face is moving. I attribute it to the same force that allowed Tyree to come down with the ball. It’s the work of a capricious trickster god. 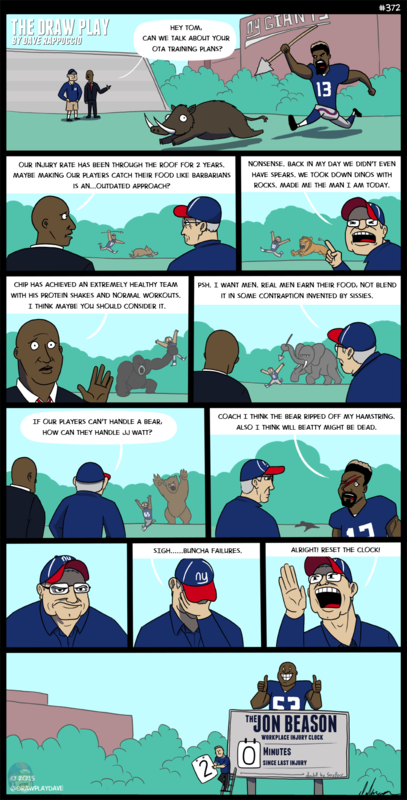 This reminds me of your Greg Schiano disease comic. I don’t think that adjusted games lost chart holds too much value. I had no idea what AGL meant, and after i looked it up, i find it not very informative. Im not sure what kind of metric was used for the chart, but it is very similar to the rankings from Football Outsiders, so i guess the metric is also pretty similar. So they only look for the anointed starters, no matter the position. For the 2013 season, the Giants lost their FB Hynoski in week 3, which gives them 13 AGL. The Jets lost Sanchez in the preseason, and because he was in an open competition with Geno Smith, he counts as a possible starter, so they get an AGL of 16.3 for their QB situation. The Packers lost Rodgers for 7 games and their 2 backups Tolzien and Wallace also missed games, so their AGL for QBs is 14.7. I’m sure everyone agrees, that the situation in Green Bay was the worst, even though the AGL numbers are pretty similar. The Ginats losing the LT for the season already gives them 16 AGL, but they have 3 months to coach up the guy replacing him or look for or a possible trade, so they are still looking promising for this season. Now imagine losing Eli for the season after week 4, the AGL is 12, but the season is most certainly lost. For 2014 they admit, that Denvers AGL profited from not making Monte Ball the starter. Carolina on the other hand got punished for using a committee with Williams, Steward and Tolbert. Even though you would think, losing one of them for a game isn’t that bad, because you still have two capable players left. In the article for the 2013 season, they also adress the problem with the injury reporting. Because the teams give out these reports independently, they are not a proper measuring standard. Some teams give out a lot of reports, on some teams the scales are much wider (Team A says Player X is probable, on Team B Player X would be questionable). However i find the eagles position on top of the cart very interesting, maybe Chip Kellys personalized smoothies are working as intended. But i also recall players (was it Mccoy?) complaining that they don’t have fresh legs on game day due the training schedule. It was Cary Williams who complained about the schedule, and he was a locker room cancer in Baltimore as well. I think I just died laughing over Will Beatty.